"Moonlight" beat "Manchester by the Sea" for Best Original Screenplay, but Barry Jenkins and Kenneth Lonergan both remain the ones to beat in their categories. This year, the WGA and the Academy differed dramatically. 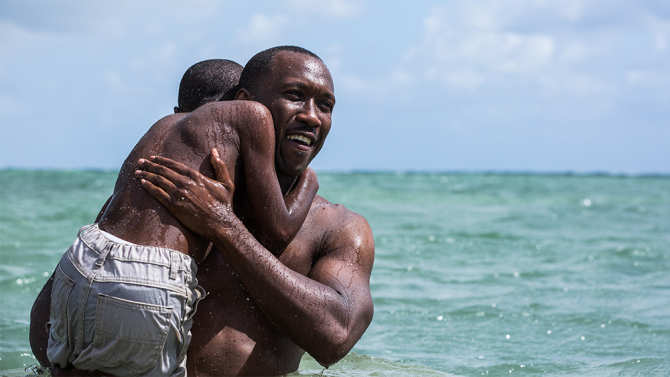 While the WGA deemed “Moonlight” and “Loving” as Original Screenplays, the Academy considered both as Adapted; only “Moonlight” landed a nomination. At the WGA, as at the BAFTAs, Barry Jenkins’ script for “Moonlight” competed for the Original Screenplay Award against both Kenneth Lonergan’s “Manchester by the Sea” and Damien Chazelle’s “La La Land.” Unlike the BAFTAs, Jenkins emerged the winner over Lonergan, a sign of strength for “Moonlight,” which is nominated for eight Oscars. However, in the Oscars’ Original Screenplay contest, lauded playwright and Oscar-nominated screenwriter Lonergan (“You Can Count On Me,” “Gangs of New York”) should still have the advantage over 32-year-old Chazelle, who did earn a writing Oscar nomination for “Whiplash.” But losing to Jenkins means that it’s not a sure thing. It’s still a close contest. That’s why Lonergan should win the Original Oscar race. As for the Adapted category handily won by Eric Heisserer at the WGAs for “Arrival,” at the Oscars he’ll be competing against Jenkins for “Moonlight.” Both films are nominated for eight Oscars, including Picture and Director. But “Moonlight” won Best Adapted Screenplay at the USC Scripter Awards. For the last six years, that win has repeated at the Oscars. As for “Hidden Figures,” for those hoping for a Best Picture Oscar win, the drama should have won the WGA’s Adapted Screenplay for that scenario to play out on Sunday night. List of winners here and below.